Your list of things to see and do now includes Busch Gardens, Avatar Flight of Passage, Bibbidi Bobbidi Boutique, and other attractions. Visiting Discovery Cove and Disney's Animal Kingdom will get you outdoors. Pack the 31st (Tue) with family-friendly diversions at Universal Orlando Resort. The adventure continues: discover the magic at Walt Disney World Resort. To see ratings, more things to do, photos, and other tourist information, refer to the Orlando trip itinerary builder website . Melbourne, Australia to Orlando is an approximately 26-hour flight. You can also do a combination of train and flight. You'll gain 15 hours traveling from Melbourne to Orlando due to the time zone difference. In December, plan for daily highs up to 29°C, and evening lows to 17°C. Finish your sightseeing early on the 1st (Wed) so you can travel to Miami Beach. For shopping fun, head to Lincoln Road or Espanola Way. 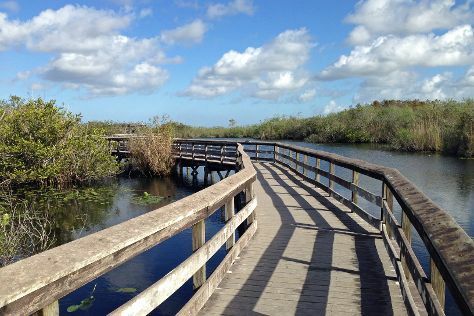 Step out of the city life by going to Shark Valley and Gumbo Limbo Trail. Get out of town with these interesting Miami Beach side-trips: Aventura Mall (in Aventura) and Osceola panthers (in Everglades National Park). 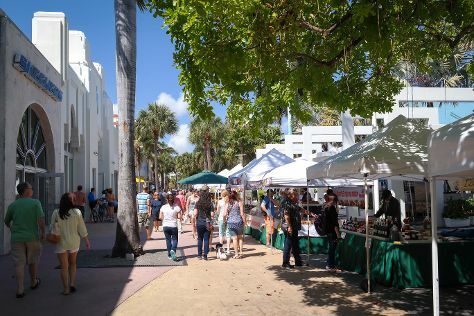 And it doesn't end there: take a stroll through Collins Avenue, see the interesting displays at Vizcaya Museum and Gardens, view the masterpieces at Britto Central, and buy something for everyone on your list at Village of Merrick Park. To find more things to do, reviews, traveler tips, and tourist information, read Miami Beach trip app . Getting from Orlando to Miami Beach by flight takes about 3.5 hours. Other options: drive; or do a combination of flight and bus. Plan for a bit warmer temperatures traveling from Orlando in January, with highs in Miami Beach at 29°C and lows at 20°C. Finish your sightseeing early on the 5th (Sun) so you can drive to Key Largo. The northernmost island of the Florida Keys, Key Largo provides stunning scenery, a number of watersports opportunities, and plenty of areas to relax on vacation. Visiting Florida Keys Wild Bird Rehabilitation Center and Spiegel Grove will get you outdoors. Step out of Key Largo to go to Everglades National Park and see Anhinga Trail, which is approximately 48 minutes away. Spend the 8th (Wed) peacefully gliding across the water with some of the best stand-up paddleboarding in the area. The adventure continues: get a new perspective on things with Boat Tours & Water Sports, look for gifts at Shell World Florida Keys, admire the majestic nature at John Pennekamp Coral Reef State Park, and identify plant and animal life at Key Largo Dry Rocks. To find ratings, photos, traveler tips, and tourist information, go to the Key Largo travel planner. You can drive from Miami Beach to Key Largo in 1.5 hours. Alternatively, you can take a bus. Expect a daytime high around 28°C in January, and nighttime lows around 19°C. Finish your sightseeing early on the 9th (Thu) to allow enough time to drive to Islamorada. Your cultural itinerary includes sights like Old Road Gallery and The Rain Barrel Artisan Village. Museum-lovers will get to explore Michelle Nicole Lowe Art Gallery and Lobster Trap Art Gallery. There's lots more to do: cast your line with a fishing tour, get outside with Contagious Charters, admire the majestic nature at Lignumvitae Key Botanical State Park, and view the masterpieces at Gallery Morada. To find where to stay, photos, other places to visit, and other tourist information, you can read our Islamorada driving holiday planner. Traveling by car from Key Largo to Islamorada takes an hour. Alternatively, you can do a combination of taxi and bus. In January, daily temperatures in Islamorada can reach 29°C, while at night they dip to 22°C. Cap off your sightseeing on the 13th (Mon) early enough to go by car to Marathon. You'll enjoy a bit of beach vacationing at Bahia Honda State Park and Sombrero Beach. Take a break from the city and head to National Key Deer Refuge and Gemini Dream Charters. Take a break from Marathon with a short trip to Stand-Up Paddleboarding in Big Pine Key, about 32 minutes away. There's still lots to do: identify plant and animal life at Pigeon Key Foundation, tour the pleasant surroundings at Sunset Park Beach, take in the architecture and atmosphere at San Pablo Catholic Church, and stop by Hawks Cay Marina Dockside Store. To see ratings, photos, reviews, and more tourist information, read our Marathon road trip site . Drive from Islamorada to Marathon in an hour. Alternatively, you can take a bus. In January in Marathon, expect temperatures between 29°C during the day and 22°C at night. Cap off your sightseeing on the 17th (Fri) early enough to catcht the bus to Key West. Escape the urban bustle at Key West Butterfly & Nature Conservatory and Parasailing & Paragliding. The Ernest Hemingway Home and Museum and Alan S. Maltz Gallery will appeal to museum buffs. There's still lots to do: get a taste of the local shopping with 7 Artists & Friends, get engrossed in the history at Key West Firehouse Museum, examine the collection at Mel Fisher Maritime Heritage Museum, and take a memorable tour with Tours. To find maps, more things to do, ratings, and more tourist information, read Key West trip itinerary builder tool . Getting from Marathon to Key West by bus takes about 1.5 hours. Other options: drive. In January, plan for daily highs up to 28°C, and evening lows to 22°C. Wrap up your sightseeing on the 22nd (Wed) to allow time to travel back home.